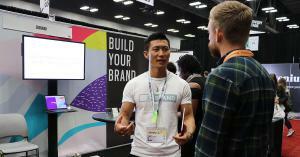 SAN FRANCISCO, CALIFORNIA, UNITED STAITE, April 2, 2019 /EINPresswire.com/ -- Many people go to SXSW to check out the latest in technology, music and film, but those looking for an innovative design product found it at the ZeBrand booth. Having launched their product just two weeks prior, Morisawa USA brought ZeBrand to SXSW to showcase their brand new web service that allows anybody to create a brand toolkit, including key elements like design layout, color and typography. It hopes to show entrepreneurs that they don’t need to be a designer or spend a lot of money to create a solid foundation for their brands. Over 2000 visitors tested out the free service and left the event with something tangible that so many startups struggle with: consistent branding. 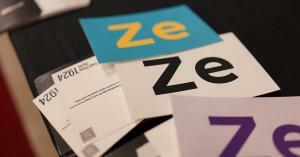 With ZeBrand, creating a brand toolkit only requires answering a few questions about your company. Its original algorithm will generate your brand elements by pulling from a database of typography, color, and layouts suggestions. In their next iteration of the service, ZeBrand hopes to improve upon user feedback and possibly integrate Artificial Intelligence to create an even more relevant and diverse range of outputs. The opportunities are boundless as ZeBrand empowers those with no design experience in what can otherwise be an intimidating, time consuming and costly process.